Serving a region with large and independent commercial laundries and a variety of on-premise laundries in hospitals and hotels, Turner has already noted brisk interest in the company's recently introduced Mato Lacing, which protects linens from belting rust and snags, and in its ergonomic, spring-loaded laundry carts, which reduce bending and reaching to support worker safety. “It's very gratifying to hear one laundry manager after another comment on the quality of the product line,” says Turner. 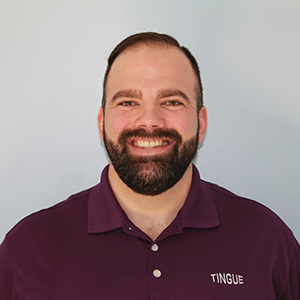 “And learning the specifying and installing tactics that can only come from years of organizational experience gives me the extra skills to be of real value to our customers.” Turner resides in Union, KY with his wife and three children.